Native art on adobe wall. Amalia, New Mexico. 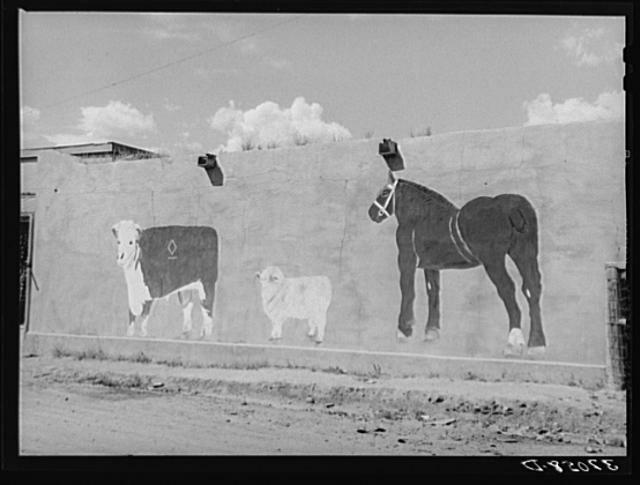 This photograph was taken by Russell Lee in 1940 as part of the Farm Security Administration Collection at the Library of Congress.